There are more than 15 million single-family rental homes up for grabs, and the rental market continues to be in demand. So what does this mean to real estate investors? Becoming a real estate investor with a portfolio of rental properties comes with many different responsibilities and risks, such as making sure your rental properties are properly insured and keeping your tenants happy. 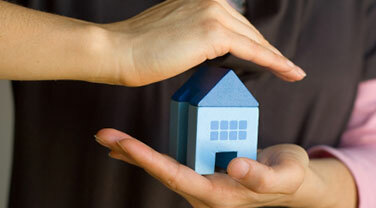 The fact is, you simply can’t afford to risk underinsuring your rental properties. Life, natural disasters, and irresponsible tenants happen, and if your properties are underinsured you could risk not only losing on the cost of repairs, but loss of rental income as well if you’re unable to keep your properties occupied. Your first step in becoming a responsible landlord or real estate investor should be to review your current insurance policies to be sure the current coverage you have is correct or if it needs to be updated to reflect your portfolio. Don’t be afraid to ask your current or new agent, if you are shopping around, for any available discounts that may apply to your policy. This could possibly save you money if you have a large rental portfolio. You may be eligible for discounts you had no idea about, for example, paying the total premium upfront, a multiple policy discount, or good payment history. Replacement cost if your rental is destroyed and will pay for rebuilding the same type of property, even if it’s more expensive. Liability claims if anyone on your rental property slips, falls, or gets injured on property due to negligence. Personal property that belongs to the landlord. This may be appliances, tools, or furniture. Loss of rental income if you are forced to empty your rental due to damage caused to the rental. Personal injury protection in cases where slander, libel, discrimination, or wrongful eviction occur. These are just a few examples of what could happen, so it is important to understand what is covered under your landlord insurance to ensure the coverage you have protects you as much as possible. As a landlord with multiple rental properties, it can get pretty busy keeping up with all of them. There are life changes that could affect you and your real estate investment portfolio, so making sure you have the right coverage and properly protecting your investments is key to managing a successful rental portfolio. No matter if you are a seasoned real estate investor with hundreds of properties or beginning your real estate journey with a few properties, it’s always best to review your existing insurance coverages to ensure you are properly covered. Plus, one added benefit to always keep in mind is that your premiums are tax deductible! We hope you found these three tips helpful. Remember, you should always consult your insurance agent if you have any questions on what coverage you need for your rental properties. For help from one of our licensed agents, click here schedule a coverage review today!